Amicus Productions was a British film production company during the era of Hammer Films. Throughout the 1960’s and 1970’s, the company developed and released a little over two dozen films from the science fiction and horror genres, as well as a couple of musicals and dramas here and there. Their bigger successes were their portmanteau horror films, or horror anthology films, beginning with Dr. Terror’s House of Horrors in 1965. They went on to make others that included Torture Garden, From Beyond the Grave, and The House That Dripped Blood, but their biggest financial and critical successes in the genre came in 1972 and 1973 with Tales From the Crypt and Vault of Horror. Amicus may not have invented the horror anthology subgenre, but they certainly helped to put it on the map more than anybody else. They tended to give big name actors like Peter Cushing, Christopher Lee, Denholm Elliot, Joan Collins, and Patrick Magee starring roles and treated the films with respect, while also planting their tongues firmly in their cheek. After all, adapting horror comic book stories for the big screen requires a bit of an open mind, or at the very least, a sense of humor. The stories themselves were oftentimes downbeat and silly, but were also big on presenting a morality play of sorts most of the time. While Amicus released successes both before and after it, Tales From the Crypt is probably their most successful and longest-lasting film. It’s much more serious in tone than any of the other horror anthologies that the company made, and as a consequence, is a lot more memorable. Their other films have a much broader sense of humor than Tales From the Crypt, and don’t take themselves as seriously. Obviously, the film isn’t entirely devoid of humor, both intentional and unintentional, but it has some of the more heart-stopping and chilling moments that catch you off guard. The opening titles, for example, feature a rendition of Bach’s “Toccata and Fugue in D Minor” over them, which is one of the creepiest pieces of music ever written. It adds to the atmosphere perfectly, and keeps you on edge for the rest of the film, at least to me. If I had to pick a film wherein the opening title sequence sets up the atmosphere of a horror film the best, it would have to be Tales From the Crypt. All of the stories in the film come from different EC comic book sources and not just from the film’s namesake, but they’re all effective in different ways. The stories featured include ...And All Through the House, Reflection of Death, Poetic Justice, Wish You Were Here, and Blind Alleys. I’ve always found Poetic Justice to be the most effective out of the five stories that are presented in the film. You actually feel great sympathy for Peter Cushing’s character and you’re just taken aback by the terrible things that are happening to him. And then on the flipside, Peter Cushing’s zombie is chilling and, dare I say, the most effective zombie in movie history. A lot of it has to do with the pathos for the character and the fact that those who’ve wrong him get their comeuppance, as in all of the stories, but seeing him as a zombie is absolutely horrifying (it certainly was when I first saw the movie). The other story I found the most effective was ...And All Through the House, which was also adapted by the TV series of Tales From the Crypt later on. In the story, Joan Collins bumps off her husband on Christmas Eve for the insurance money, only to be terrorized by a man in a Santa Claus outfit afterward. It works so well because you know she can’t call the police without getting herself into trouble, so she’s trapped. In actual fact, Tales From the Crypt carries the broadest range of story material overall. Not all of the stories are the finest kind, particularly Reflection of Death, which is lackluster compared to the rest, but they’re much more varied in nature than Vault of Horror. Credit also has to be given to Freddie Francis, a veteran cinematographer who took a turn at directing some horror films, making some great ones in the process. Thanks to him, Tales From the Crypt is a beautiful horror film that, while dated, continues to hold up best amongst all of the horror anthology films because of how well-made it is. Vault of Horror, on the other hand, is less effective as a horror film and is, perhaps, much more in tune with the atmosphere and sense of humor of the original EC comic books. You can’t get much more tongue-in-check than when a group of vampires hang a guy upside down and stick a spigot into his neck, serving blood to each other as if it was wine. And that’s the general mentality of Vault of Horror, which is much more lighthearted in tone, and a bit sillier. The film was made almost immediately after the success of Tales From the Crypt and was directed by the great Roy Ward Baker, a name that I’m sure die-hard horror fans will recognize. The film includes the stories Midnight Mess,The Neat Job, This Trick’ll Kill You, Barain in Death, and Drawn and Quartered. The story that stands out the most for me is The Neat Job, in which Terry-Thomas portrays a neat freak whom is so obsessive-compulsive about being tidy that he drives his wife to murder. It’s probably the most effective of all five of the stories, and has the best payoff. Although it wasn’t as nearly as successful as its predecessor, Vault of Horror holds its own with a much campier tone. It’s a bit like apples and oranges: sometimes I’m in the mood from an apple, and sometimes I’m in the mood for an orange. Unfortunately, Vault of Horror was badly butchered for U.S. distribution, cutting all of the so-called ‘violent’ moments by simply using a still frame in each moment, often using a misshapen and unnecessary black matte to cover up the gore or violence. It’s a shame that the film was released that way in the U.S., but thankfully, all has been put right. 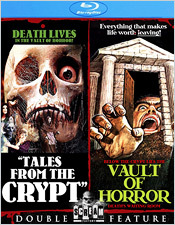 Not only does this set contain the first state-side release of the uncut widescreen version of Vault of Horror for the first time, it also contains both the original butchered U.S. theatrical version and a newly unearthed uncut open matte version of the film, the latter being presented in a 1.33:1 ratio. Quite obviously, there is much more visual information in the frames of the latter version, but all of these transfers have their strengths and weaknesses and there’s no clear-cut favorite amongst the three. It all just depends on your tastes as a viewer, but for completist’s sake, I’m thoroughly happy to have a selection to choose from. Just getting the uncut version of the film is reason enough to celebrate, but having the option to watch it in other ways is icing on the cake. Both uncut versions of each film are featured on the first disc while the alternate versions of Vault of Horror are on the second disc. As far as the Blu-ray transfer for Tales From the Crypt, you get a very pleasant and detail-oriented presentation. It carries a heavy but very natural-looking grain structure with stable frames. Colors are quite bold at times, especially during the Joan Collins segment, with all of its green and red Christmas hues. The fake blood that was being used at the time stands out more than ever before, which I personally don’t mind. Black levels and shadow detail are very good without being great, but there are times when blacks do run deep. Contrast and brightness are at mostly acceptable levels, although the opening moments of the film are the most problematical, which is usually the case with title sequences. There’s some minor film damage here or there, which is mainly some small specks throughout the duration, but it’s a very healthy presentation overall. The uncut widescreen version of Vault of Horror is quite a welcome one, and it features a transfer that, while it has some minor problems, is excellent overall. It carries a very nice grain structure that’s very filmic without spoiling it by using the dreaded overuse of digital noise removal. In fact, none of these transfers are victims of that. The colors and skin tones in this version fare much better than the other two versions and are much bolder overall, especially reds (obviously). Although not perfect, the black levels are very healthy with some nice shadow detail, and brightness and contrast are at acceptable levels. There’s also some film damage left behind including scratches, staining, and a couple of small holes in the frame here or there, as well as some minor specks throughout the duration. The original U.S. theatrical version of Vault of Horror is the weakest of the three transfers found in this set. It carries a much thicker grain structure, but has a lot of crush in its black levels. Shadow detail is very poor at times because of this. Colors, especially skin tones, lack deeper hues and are uneven. The film’s contrast is completely blown out, being way too high. Film artifacts are on the same level as the uncut widescreen version, being maybe just a touch more damaged. The uncut open matte version of Vault of Horror has a much more refined grain structure than the other two versions, but with less bold colors. Some light flickering can be seen, as well as some occasional leftover minor artifacts and staining. Colors aren’t quite as bold as they are in the uncut widescreen version, but blacks are a lot deeper (although not perfect) than the theatrical version. Contrast fares much better, as well, and there appears to be less damage than the other versions overall. 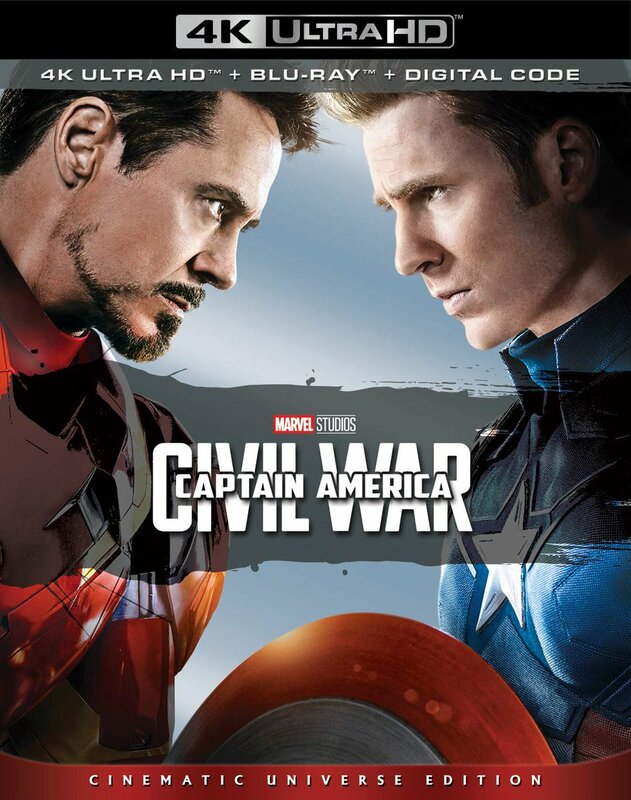 The soundtracks for both films and all their various versions come in the original English mono (through 2.0 tracks), but only the original U.S. theatrical version is presented in DTS-HD, while the others are merely DTS. To be honest, there isn’t much in the way of a sonic difference when it comes to the overall quality. 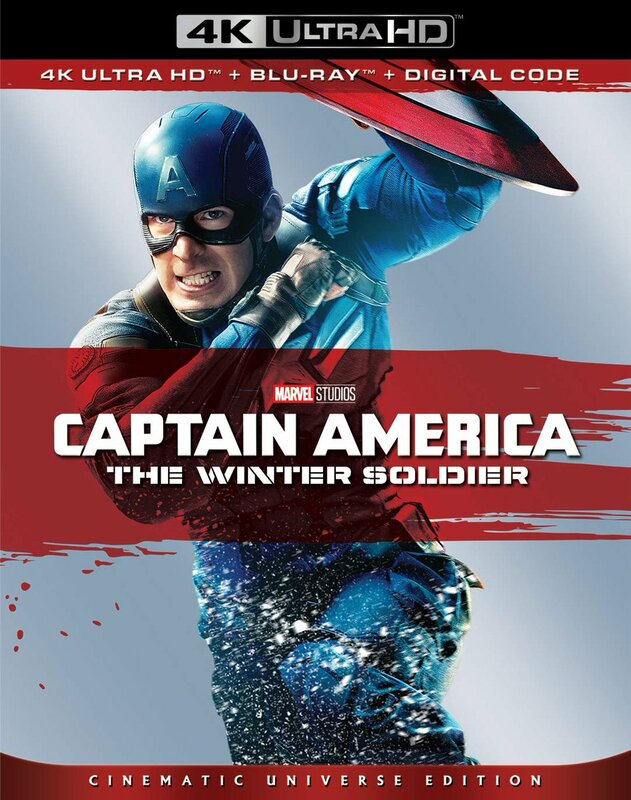 Like most DTS-HD presentations, the soundtrack for the U.S. theatrical version has a bit of a brighter sound quality when it comes to the film’s score. Both sound effects and dialogue, while dated, are reasonably even with each other. There isn’t much in the way of dynamics either, but all of the soundtracks are adequate for their visual counterparts. Both of the films on these discs, including the various versions, all carry subtitles in English for those who might need them. As far as other video-based extras go, it’s pretty slim pickings. The main extras are the previously-discussed alternate versions of Vault of Horror, but you will find a couple of small bonuses on the first disc. Tales From the Crypt has no extras, but Vault of Horror comes with the original theatrical trailer (in black and white) and an alternate main title for the film under the name Tales From the Crypt II, which it was released as in certain areas. While I wasn’t expecting a boatload of extras from this release, I was hoping that Scream Factory could shed some light on the rumor that Vault of Horror had an alternate ending. There was a still being used to promote the film at the time which featured the five actors in make-up as skeletal-looking zombies, which appears nowhere in the film. While it might have simply been something made for promotional purposes, it would have been nice to have had some kind of confirmation about it one way or the other. And if you enjoy Amicus horror anthology films, I would also recommend picking up the documentary Amicus: House of Horrors, which is well worth a watch and goes into a bit more detail about the history of Amicus Productions and their films. All in all, Scream Factory’s Tales From the Crypt/Vault of Horror double feature release is a bit of an awakening for fans of old-school horror. I enjoy horror anthologies probably more than any other horror film subgenre out there, and seeing these movies again in high definition was a real treat for me, especially getting to see them both uncut for the first time. This is definitely a Scream Factory release that, if you’re a horror fan, this one’s a no-brainer: pick this one up right away. Highly recommended.